What little boy does not enjoy dressing up? 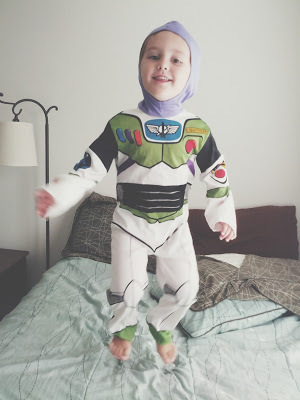 My grandson sure does and he just loves his Buzz Lightyear outfit! Wearing it he almost flies as he jumps on the bed, even without the wings that light up! This Toy Story character is best known for the catch phrase, “To infinity and beyond,” as he strikes the pose, ready to fly. After defeating the evil Emperor Zurg, this space ranger now cares more about keeping his toy family together. There are not too many things that can be said to truly be “to infinity and beyond.” But today’s verse describes God’s love and faithfulness in much the same way. His love is so great it goes beyond the heavens. God’s faithfulness is so immense it reaches to the skies! A faithful love like that is beyond our limited comprehension. It surpasses anything that man can stir up in his own heart. But this is not fiction. His love and faithfulness have been proven over and over. This incredible love compelled the Son of God to lay down His life in our place. Lord, I am so undeserving of such a love. I am eternally grateful. Growing up, the fig tree in our back year was my Dad’s pride and joy! 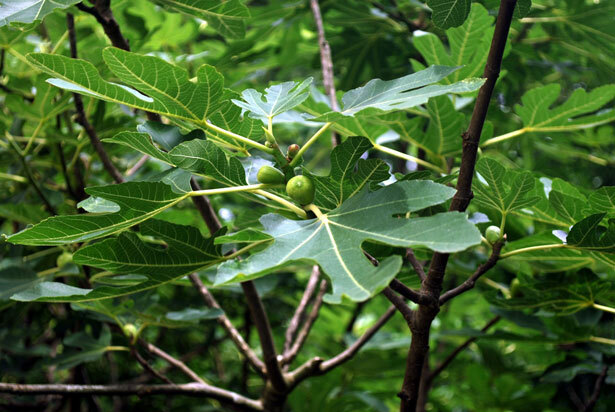 The whole family enjoyed those green figs and the abundant shade the large leaves provided. In fact, my Dad built a round bench encircling the large trunk. Every year, he would lay out those figs for drying and we could enjoy the dried fruit all year long. In all those years, that tree faithfully bore its figs. Never once did it surprise us with olives! Today’s verse describes a ludicrous scenario. How ever could a fig tree produce olives, a grapevine produce figs or a salt spring produce fresh water? It is impossible, of course. These images teach us that what comes out of the mouth reveals what is in the heart. What comes out of the mouth is consistent with what is thought and felt inside. Eventually, our hidden nature is revealed by the words we speak. No one can tame the tongue nor can anyone make themselves new inside. It is only by the work of the Holy Spirit that we can hope to change. When cursing and praise both come out of my mouth, it is a clear signal that I need to do business with the Lord. “…This should not be.” (verse 10) but unfortunately, it is. I can blame my words on stress or fatigue but what I really need to do is just confess it. I do not want to disappoint or grieve the Holy Spirit. And He graciously offers His self-control so that my life consistently bears fruit that honors Him. Lord, control my tongue today to consistently honor You. Categories: Holiness, Tree Images | Permalink. Our friend, Marilyn, continues to amaze me! 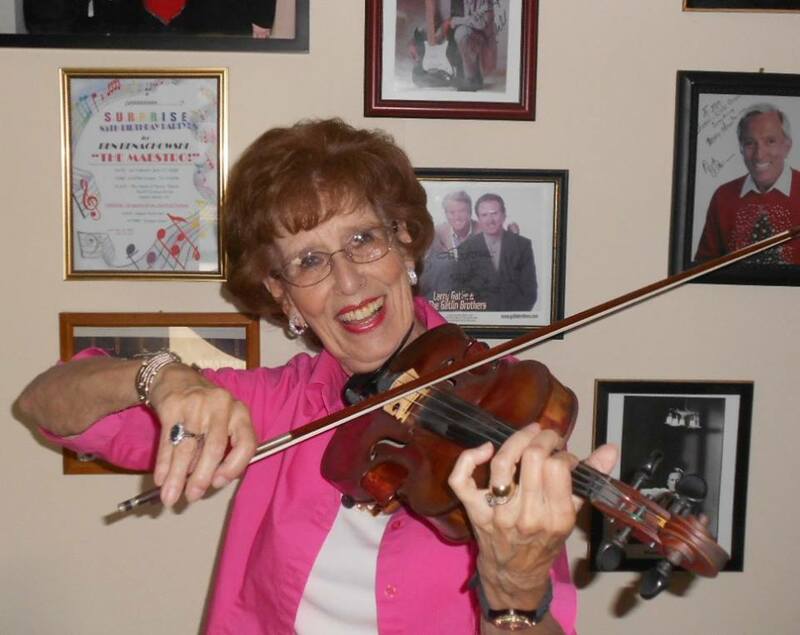 At the age of 87 she still plays her violin beautifully. She not only continues playing in the Desert Symphony, comprised of only the best professional musicians, but she is also the assistant concertmaster and contractor! While many her age have trouble lifting their arms to do their own hair, she holds up that bow with strong arms and plays beautiful music! That violin bow remains steady and her arms stay limber because of the blessing of the One who created her! Today’s verse is part of a blessing given to Joseph by his Father, Jacob. Joseph, although attacked with bitterness, remained true to God (verse 23). God’s hand was on Joseph, making him fruitful, keeping him strong, helping him and blessing him (verse 25). But God’s strength did not mean he would lead an easy life. On the contrary, Joseph’s life was filled with injustice, prison, estrangement, and heartache. However, Joseph followed his Shepherd and drew strength from his Rock. I cannot imagine having strong unwavering arms into my eighties! With age my body will eventually waste away and betray me. But the Lord promises that inner strength can be renewed day by day (II Cor. 4:16). Arms may become unsteady, but my faith in Jesus can become firmer each day. Arthritis may keep me from being limber but inwardly I can experience firm resolve and perseverance! When I am weak, He becomes that Rock providing strength. As my Shepherd, His strong arms lift me up. Lord, I need that inner renewal today. Thank you for the strength You will provide! There is reason for the heavens to shout, for the earth to rejoice and for the mountains to burst into song. Today’s verse gives the reason; the comfort and the compassion the Lord gives to His hurting people. He is not unmoved by our pain. He does not ignore our cries. He hears us in the night when we smother our tears. He sees when the heart is hurting and we want to give up. He offers His comfort and compassion and it is unlike any other. He is the Father of compassion and the God of all comfort (II Cor. 1:3). He uses His Word to reassure my heart. He uses the care and concern of friends and family. He uses the lyrics of a long-forgotten song in the most unlikely moment to bring me a measure of peace. His compassion never fails me. His comfort and compassion are renewed every morning when I wake up to a new day (Lamentations 3:22-23). 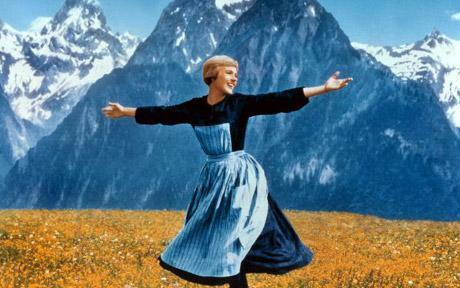 What a wonderful reason for those mountains to burst into song! May today be a day when I can shout, rejoice and sing because He cares for me! Categories: Comfort, Faithfulness, God's Love | Permalink. 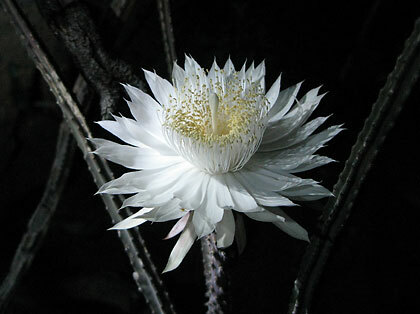 How amazing that this cactus flower only blooms at night! Its flower is either white or a pale color, opening after nightfall and wilting by dawn. It is native to Arizona and the Sonora Desert and is short lived in that harsh environment. But it is beautiful and fragrant in its temporary glory. I find it incredible that our Creator would fashion such a beauty, seemingly for His own enjoyment! And the older the plant, the more blooms there will be. In our verse for today, Asaph, thought to be King David’s director of music, describes the distress he was feeling in the middle of the night. He sought the Lord. He cried out to the Lord, but at the same time, he refused to be comforted. His soul must have resembled the dry thirsty desert. He was feeling those thorns of the cactus choke out the comfort he so needed. When the lights are out and the house is quiet, there is ample opportunity to focus on the distress I have pushed to the corners of the mind during the day. Like Asaph, I can turn to the Lord in those sleepless moments. What seemed hopeless and without comfort turns around to something fragrant and beautiful; praise. Like Asaph, I can remember what God has done in my past. Remembering His faithfulness to me gives me courage to face the future. No one sees that flower of renewed faith and intimacy with the Lord. It blooms at night, and as I grow older, there are more opportunities for blooms to appear! Thank you Lord, for Your comfort and reassurance in the night. Categories: Faith and Trust, Flower Images | Permalink. It about took my breath away! We were driving the back roads near Plymouth, MA when we rounded the corner and saw a shimmering field of red! The cranberry bog was being flooded with water and the brilliant October sun was hitting it just right. The farmers flood the area with up to eighteen inches of water to free the cranberries from the vine. 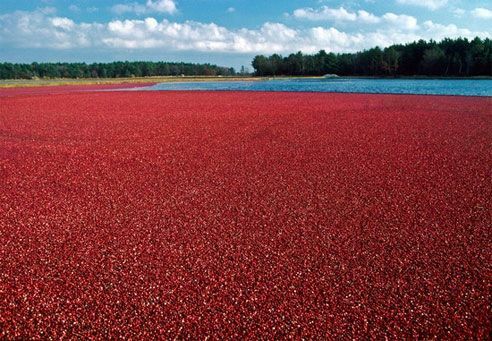 Then because of the small pocket of air contained in the cranberries, they float to the surface, ready to be harvested. Water is of course essential to growing most anything but with “wet harvesting” it also plays an important role in getting access to the fruit. Today’s verse pictures God’s Spirit like that water so important to fruit production. Without His work we remain a thirsty land. Without His blessing we continue life as dry ground. But oh how it all changes when the Holy Spirit moves and works in people’s hearts. When I try producing fruit and good works in my own strength, I am using thirsty land and dry ground. I need the Holy Spirit to flood my efforts with His life-producing water and power. I can do nothing in my own strength. It is not how busy I am doing things for others. It is not how many Bible verses I know. It is allowing Him to work through me as I depend on Him. It is getting my ego out of the way and being about His glory. Lord, please pour out today the blessing of Your Spirit. Categories: Holiness, Service, Submission | Permalink. I almost passed right by this picture without seeing it. Yes, it’s artsy but there is a little detail easy to miss. The stairs lead nowhere! Perhaps, there was once a door at the top, but no longer. I think I would be plenty irritated to expend that energy climbing for no good reason. How awful to finally get to the top of a long flight of stairs, only to find that there is nothing there! It must have been with this same sentiment that Solomon wrote today’s verse. What ever is the point of all the striving, working and toil man goes through all of his life? If at the end of the climb one finds no satisfaction in reaching the goal, than life can seem a cruel joke. But that is exactly the case if the Lord is left out of the picture. Everything, even the most admirable success, is meaningless. 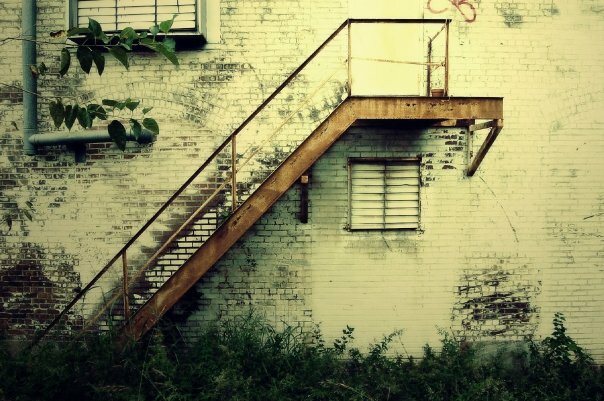 Climbing the ladder to wealth, prestige and security means nothing in the end. At the end of life, a hard-earned fortune gets passed down until it dwindles away to nothing (verse 21). Lord, keep me focused on living and working for You! Categories: Contentment, Devotions | Permalink.